If staying fit and active are important to you, but sometimes family and life seem to get in the way, you are not alone. The solution may be as easier than you think. 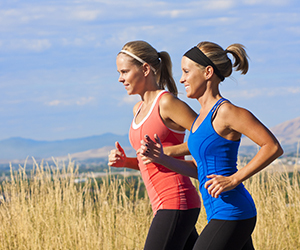 There are many benefits of having a workout buddy who shares your fitness dreams and goals. Here are just a few of those reasons that may appeal to your health and fitness sensibilities. Having a workout partner counting on you to show up at the gym will boost your accountability. If you know that someone is there waiting for you, you will be more likely to show up - and showing up is half the battle. Your workout buddy may have experiences and ideas that you don’t have. You can learn from each other and share your exercise tips and tricks, making your time at the gym a learning experience for both of you. Everyone loves a good time! If you choose a partner whose company you enjoy, you’ll look forward to your time at the gym not only for your own health, but for the rich social time as well. Do you ever wish you had more confidence at the gym? Perhaps you’d like to try a new exercise, but are afraid you won’t get it quite right the first time? It’s much easier to try something new with a friend. Having a fitness friend along for the ride will allow you to broaden your healthy horizons and reach for brave new heights. Even if you don’t usually consider yourself a competitive person, working side by side with someone, day after day, can push you to work harder than you normally would. This can be especially strength provoking if you choose a partner you know is a little stronger than yourself at the start.